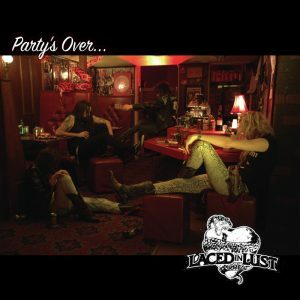 Two days ago, Aussie glam hard rockers Laced In Lust released their new EP entitled Party’s Over. “Blending high energy rock n roll with a determined attitude, Laced In Lust takes the best of the rock powers from the ’60s, ’70s and ’80s and mixes it with a more modern sound. Laced In Lust has been turning heads since their first show in 2012 and have a strong following in Adelaide that continues to grow. Since that first show you’ve seen the release of debut single “Fire” followed by numerous national tours throughout Australia, the booming release of their EP “Firing Lines” AND more recently returning from a European tour! Laced In Lust‘s new EP Party’s Over can be purchased at the group’s online website store. The official promotional video for Laced In Lusts European Tour, 2014.